Sprint Magic Box Signal Amplifier Booster Airspan Excellent Cond. Lightly used. Condition is Used. No original box. Air unity 544je b41hl. 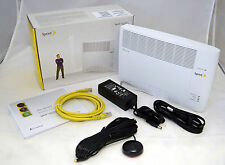 SPRINT MAGIC BOX In Box Looks Unused 544 4G Signal Data Booster Hotspot GEN 2. Shipped with USPS Parcel Select Ground. Condition is New. o pen box like new condition. installation Battery. power cable. Has never been used! Box has been opened to verify products but that's it! No more raising your phone for service, having to go outside just to make a fast phone call! Features include 3GPP R10 LTE advanced technology and can support up to 64 simultaneous users! Model: s1000c white color by commscope, including is the power adapter ONLY as shown on images. AirUnity 540 B41HL B25. 1- Sprint AirUnity 540. Sprint LTE Plus. Signal Booster. Unit was plugged in and turned on. Unit synced up. Unit may have scratches, scuffs, blemishes, sticker residue etc. I try to describe everything to the best of my knowledge. AIRAVE ACCESS POINT. CELL PHONE SIGNAL BOOSTER. 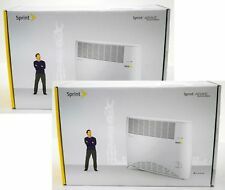 Sprint Magic Box Support This is open box product everything is tested and working fine. Access to Sprint Voice and Data Services. FOR SPRINT CELL PHONE USERS . Works with Your Sprint Wireless Phone. Place the base station near a closed window and in a central location. PO BOX number. Will show wear and tear. Model: 540 black / white colors airspan small cell eNB, including is the power adapter ONLY as shown on images. Sprint Airwave 2.5 - NEW. Item still sealed. Airwave is still sealed. I WILL do everything I can to make it right. Get the most from your Sprint phone or smart device right now. Sprint Airave Access point. Sprint AIRAVE Access Point features Access to Sprint Voice and Data Services. External Antenna for added range. Brand new used for a week and then change providers now it is collecting dust. Without the Airave, calls would drop constantly, but with the Airave in place in was amazing. Surfing the internet on my tablet was lightning fast and no dropped phone calls ever. If you have spotty coverage where you live or work, you need this. Up for sale is this Sprint Airave signal booster. Airvana AIRAVE Sprint Access Point C1-600-RT Cell Phone Signal Booster HubBub.. Excellent working condition. Any questions please don't hesitate to ask. Easy set up, automatic software upgrades, works with your sprint wireless phone, access to sprint voice and data services VoIP Service capable Enhanced Coverage. 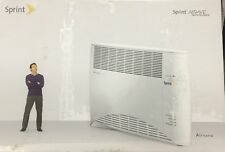 Lot of (2) Airwalk Airave AWFEW19AC7C01 Pro Connect for Sprint 3G FemtoCell. The AIRAVE 2.5 provides a boosted signal for your wireless voice and 3G data services. It’s like having your very own cell tower. The AIRAVE™ is a femtocell, a personal base station with a radio unit that is similar to a cell tower radio. NEW Airvana Airave MCX Active GPS Antenna Signal Booster hubbub Sprint Phone NEW. Condition is New. Shipped with USPS First Class Package. (100) Sprint Airave Access Point. It's like having your own mini-cell tower. (100) Start Guide. (100) Ethernet Cable. They work very hard to get quality products to you quickly. Sprint Airave 2.5 Airvana Access Point Cell Phone Signal Booster. Condition is Used. Shipped with USPS Priority Mail. 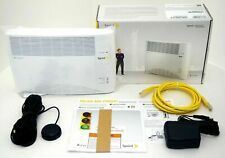 Sprint AIRAVE Access point C1-600-RT Cell Phone Signal Booster HUB - BRAND NEW! "The sale of this item may be subject to regulation by the U.S. Food and Drug Administration and state and local regulatory agencies. This unit has been used. All pictures are taken in house. Our warranty excludes all consumable goods, eg. 4 out of 5 stars - Sprint AIRAVE Access point C1-600-RT Cell Phone Signal Booster HUB - BRAND NEW! 2 product ratings2 product ratings - Sprint AIRAVE Access point C1-600-RT Cell Phone Signal Booster HUB - BRAND NEW! 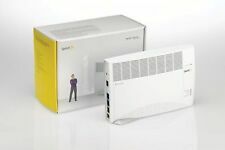 Sprint Airave Access Point. New in box -never opened (other than for pictures). Get Started Guide. SPRINT AIRVANA HUBBUB. SPRINT AIRAVE ACCESS POINT. SEE PICTURES AS THEY SHOW. THIS IS THE ORIGINAL POWER CORD. 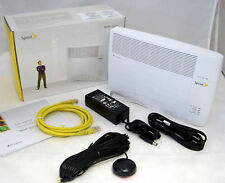 Sprint Airave Hubbub C1-600-RT Airvana Access Point FREE SHIPPING! This unit has been tested and works as it is intended. :Sprint only (not supported on any other carriers.). People are promised one price, only to have that price reduced when their device is received, examined, and graded on a very subjective scale. And we know that we need your help.